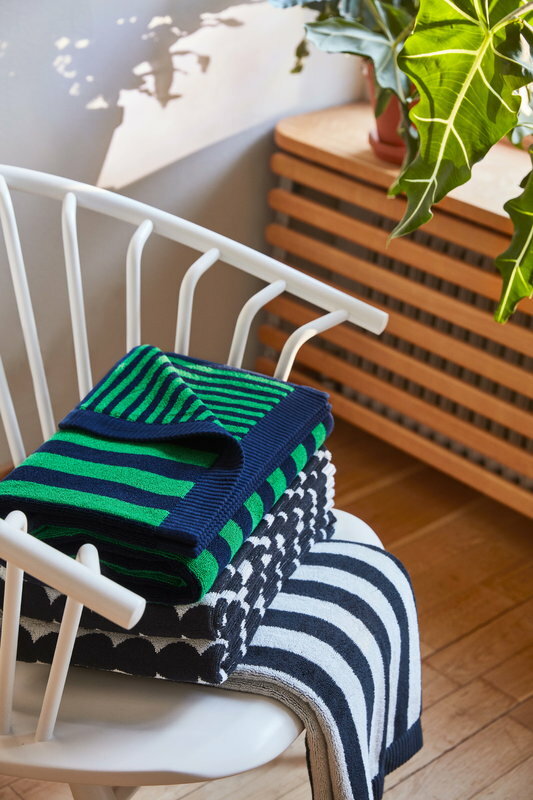 Marimekko’s Kaksi Raitaa bath towel plays with a stripe pattern designed by Kristina Isola. 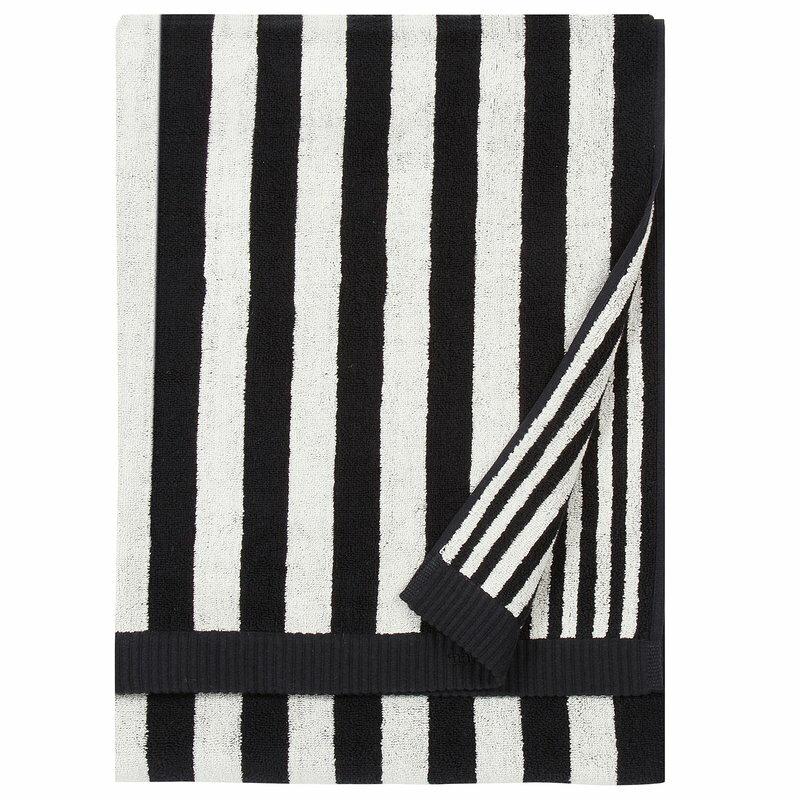 Kaksi Raitaa is Finnish for two stripes, as both sides of the towel are decorated with stripes in different widths. 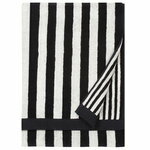 The towel is made of soft and thick cotton terrycloth. 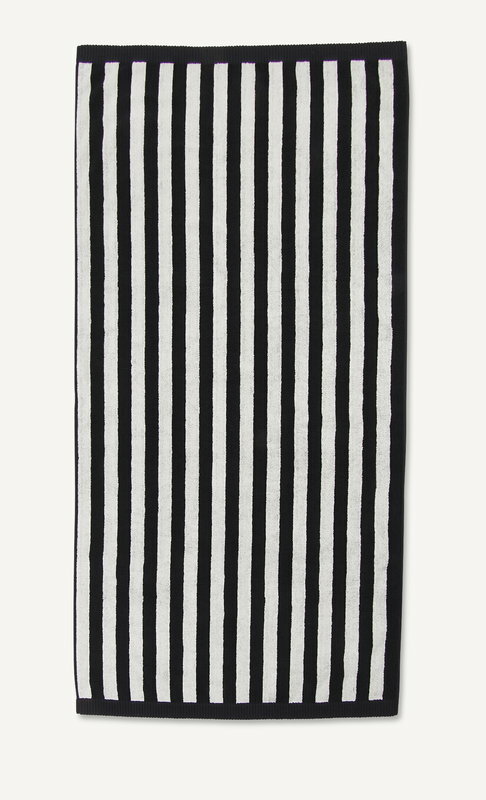 Finish the stripy style with other towels from the Kaksi Raitaa collection.